ArtSlant is pleased to announce that we are now taking applications for the Winter 2015 term of the Georgia Fee Artist|Writer Residency. This term will take place during the months of January/February 2015 and includes a monthly stipend of $1000 USD and airfare to and from the residency site. 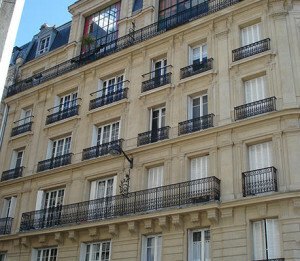 The residency takes place in the Montparnasse neighborhood of Paris in a Haussmann-style aparment. Studio space is not provided. Thanks to our strategic partner, Residency Unlimited, the resident will be asked to participate in studio visits with prominent arts professionals from Paris that have experience relevant to the resident’s project. To submit an application, go to your ArtSlant Profile and click on apply to residency in your Manage My Profile box. Don’t have a profile? It’s free and easy to sign up! Applications will be accepted until August 31, 2014. More info on the Georgia Fee Artist|Writer Residency can be found here. Check the FAQ for any questions you may have. For further questions, email us at residency@artslant.com.